Request Your Free Brochure All fields are required Which type of event are you planning? When are you thinking about getting married? Let us give you more detailed information based on your wedding needs. I'd like to receive occasional updates, special offers and other information from the Walt Disney Family of Companies about their products and services. When are you thinking about going on your honeymoon? We look forward to working with you to plan your fairy tale wedding. View our digital wedding brochure now. View our digital honeymoons brochure now. It's the yummiest day of the week- happy Wedding Cake Wednesday! 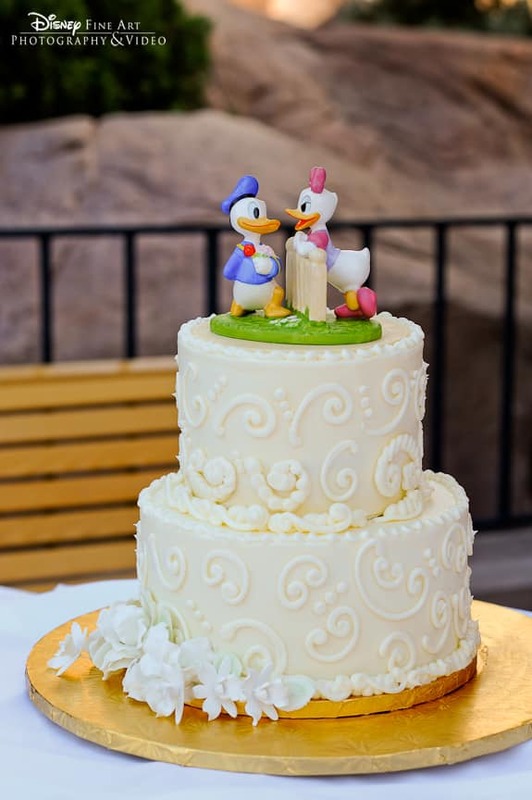 I'm particularly excited about this week's cake because two of my favorite love birds (or should I say love "ducks") - Donald & Daisy- are gracing the top of this buttercream beauty at Canada Courtyard. Learn the wedding vocabulary you'll need in our helpful glossary of wedding lingo.